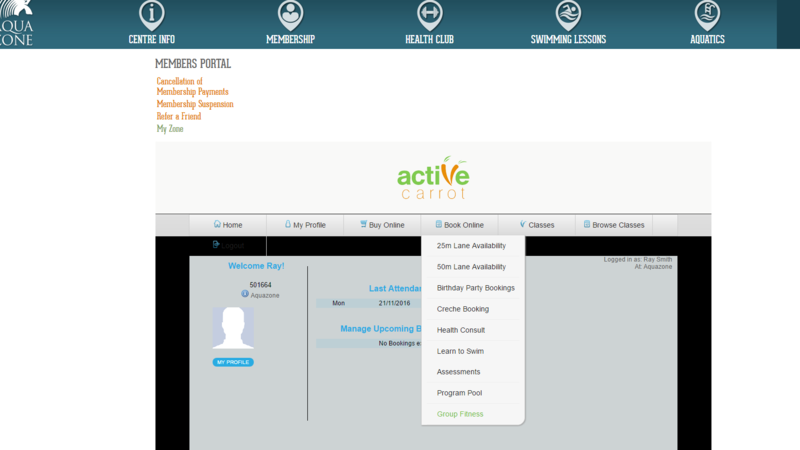 This feature is only available to full paying Gold or All Access Memberships. Any members who have joined on specials with this membership type will not have this feature. You will need to have an email address on our system. Your email will be your password. Go to the MyZone link under members portal. Enter your email address and password in the fields provided. If you do not have a password, click the forgot password link, an email of your new password to the address given. 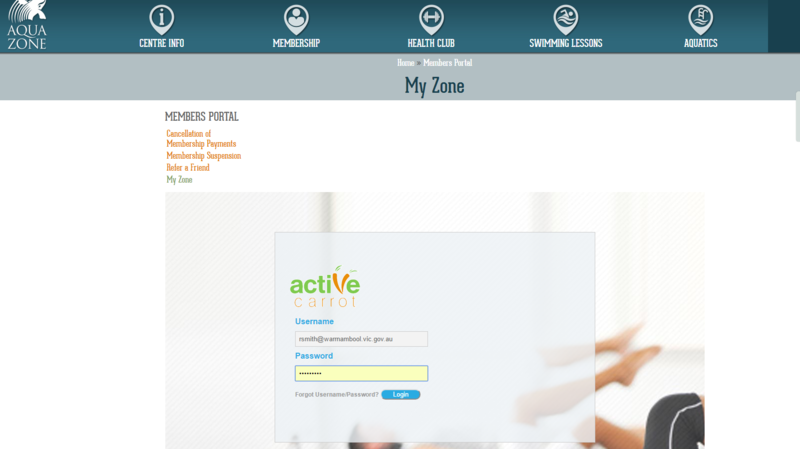 Once in MyZone go to the book online tab and click on the group fitness section. 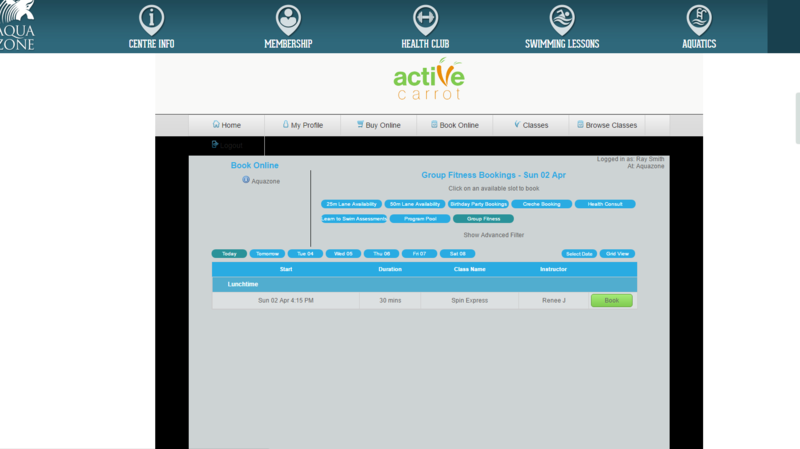 The group fitness booking window will show any sessions that are available to be booked online for the day. 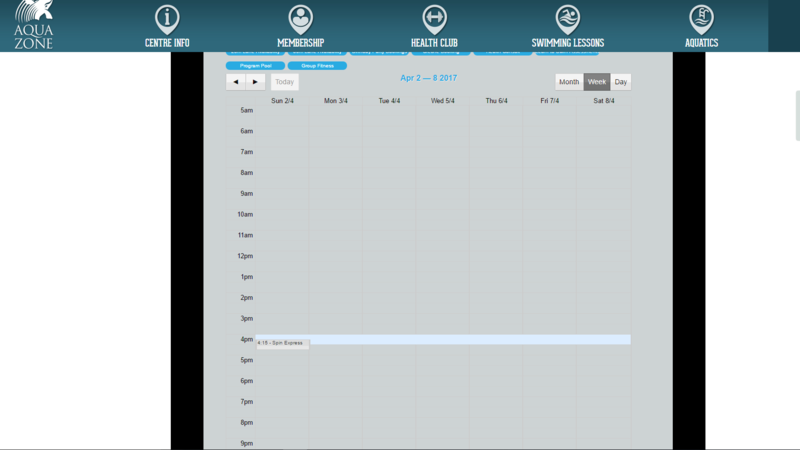 Note this not all the group fitness classes for the day, but what is online. Above the class, there are buttons for other days, which you can click on and make future bookings. Once you have chosen the session you wish to attend, click on the green book button. A confirmation screen will appear with the details of the class. Check if the information is correct and the confirm your booking by pressing the book now button. Congratulations you have made your first group fitness booking. The last screen you see is a calendar of all bookings you have done.